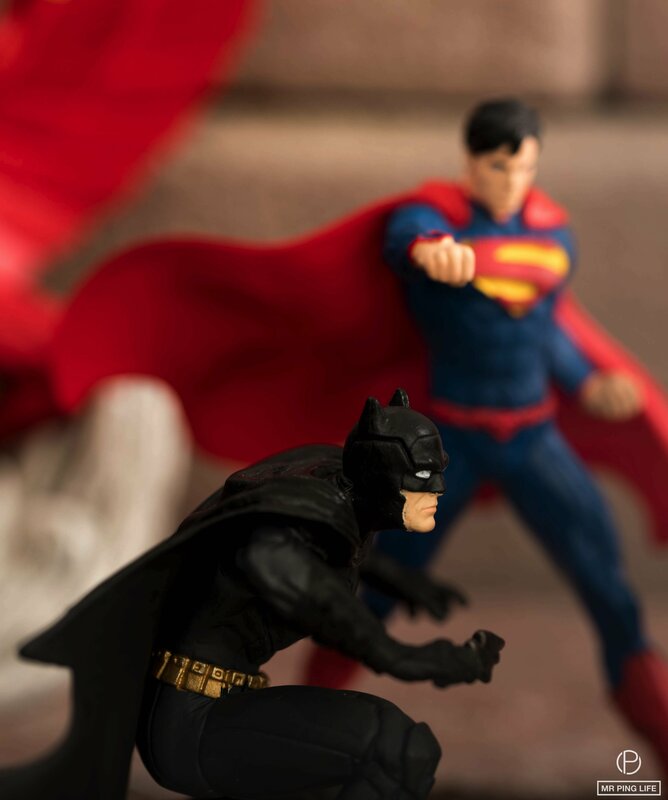 “A superhero is a type of heroic character, usually possessing supernatural or superhuman powers.” That is how superheroes are defined almost everywhere. 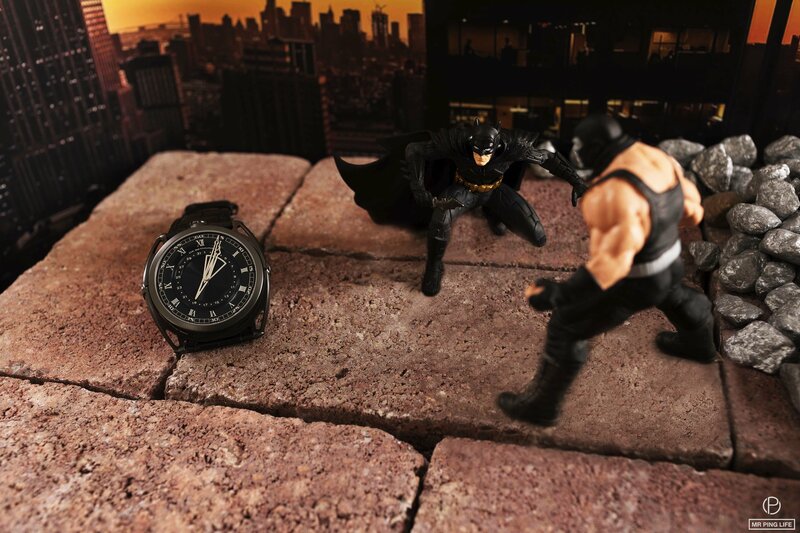 And while we consider ourselves big fans of the superhero genre and characters -in fact, one of our team writers seems to be obsessed with Batman!- we have also found superheroes of our own, far from the comic book ones… Heroes that have defied the test of time through timeless designs, incredible functions, and a special superpower: becoming a family heirloom, passed on from one generation to the next, bearing witness to the lives of individuals that have worn them. Watches. 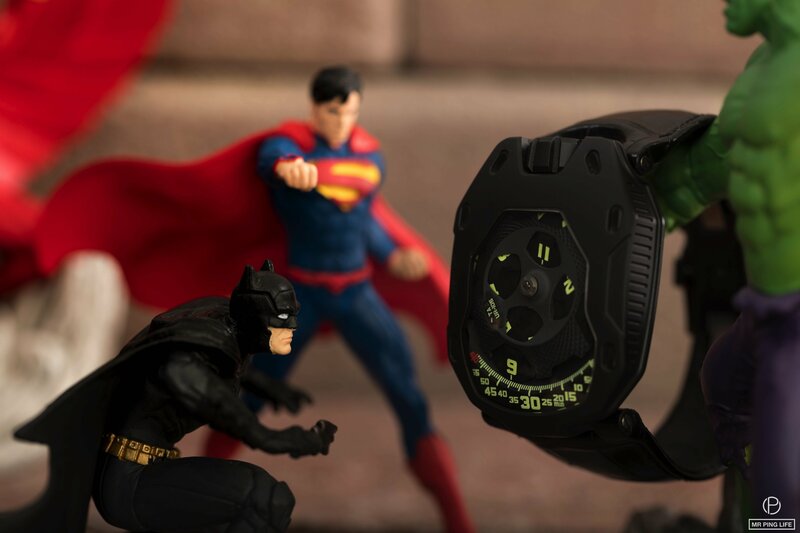 Those are the superheroes of our latest shoot that brings together cool watches from independent brands De Bethune; HYT and Urwerk, and all-time favorite action heroes –Batman; Superman and The Hulk– versus their nemesis, in a fight for all that’s good! Black is what this watch is all about. A mystical, silent darkness emanates from it, like a knight in the dark… One that is good, and generous with time. The De Bethune DB27 Titan Hawk All Black offers the superpower of comfort; with its signature lugs that bend to follow the wrist’s shape, and its super light leather strap, is extremely comfortable to wear. The timepiece features the De Bethune automatic winding, in-house movement caliber S233. And that’s why it created the ultimate showdown between Batman and evil Bane! Bruce Wayne isn’t the only one to have a research and experiment division; although his is kept a secret, Urwerk’s ‘experimental laboratory’, the U-Research Division needs no introduction. 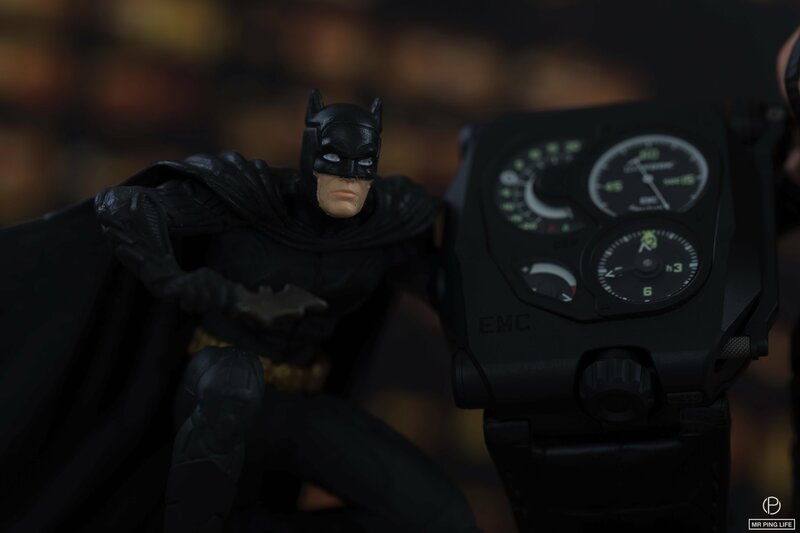 It has spawned some wild and exciting projects, including the world’s first fully interactive, EMC (Electro Mechanical Control) precision mechanical watch in which timing can be both monitored and adjusted by the user to suit their lifestyle. The EMC Black is the product of the brand’s unconventional spirit, one of positive disruption. No wonder Batman is being overprotective! 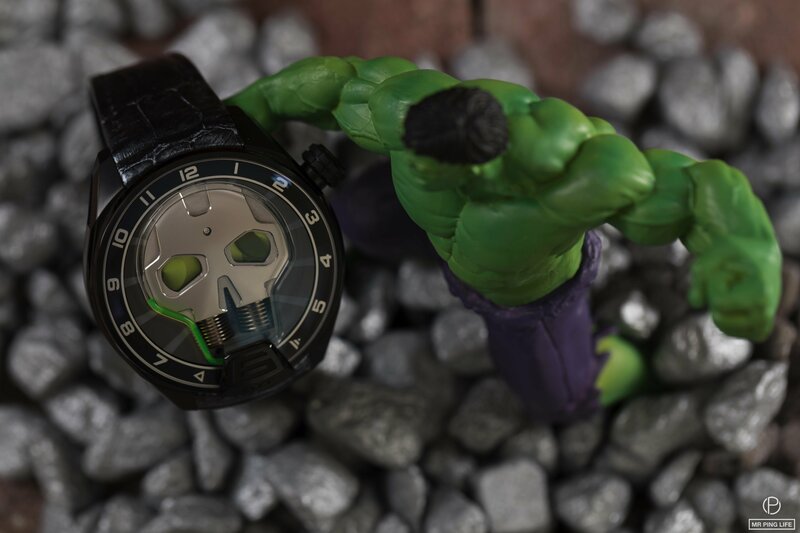 Like all comic book villains, HYT Skull Green Eye breaks all the rules. 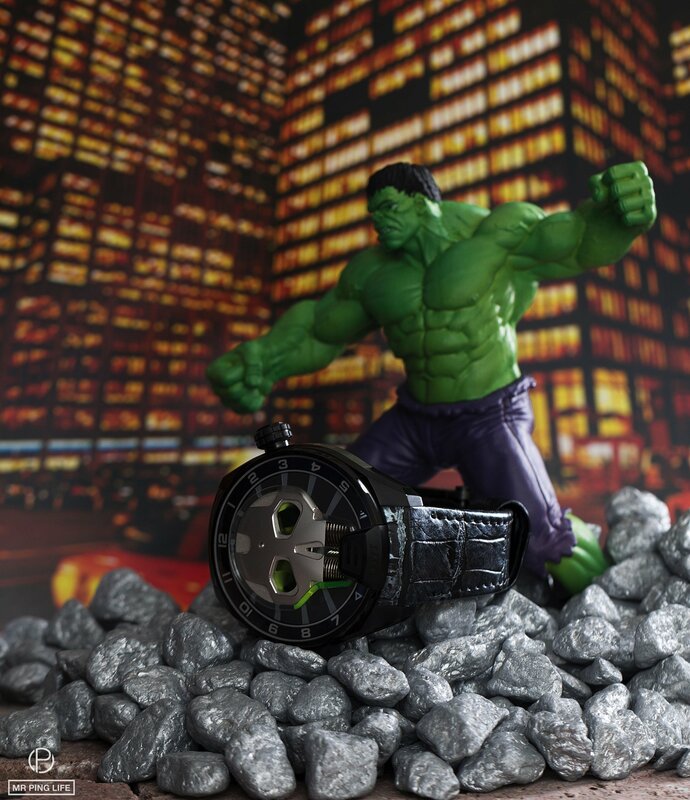 But rest assured, this striking watch is no villain! It only breaks the rules for the sake of what’s best in mechanics, thus placing it in the superheroes league. It has the power of design on its side, and its ultimate purpose is “recapturing the essence of time”. A capillary carries a fluid through the piece, acting as the hour marker. 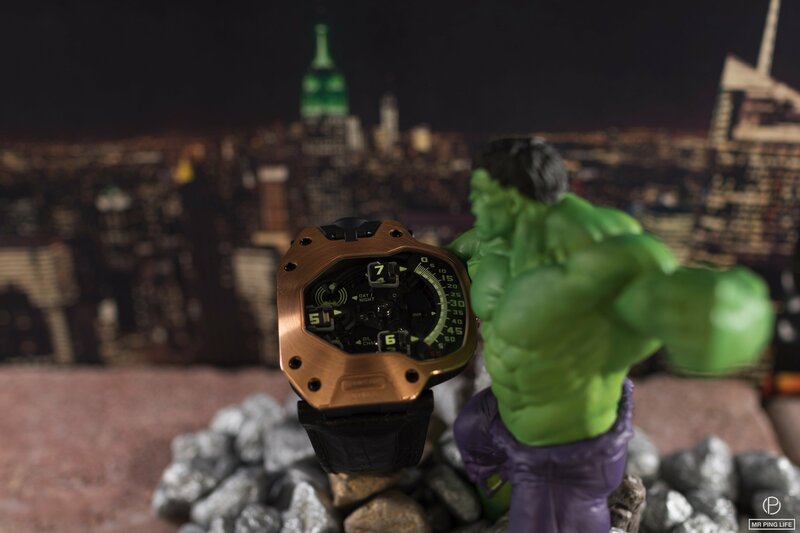 You might just make The Hulk green with envy! The HYT H1 Dracula DLC is far from being a blood sucker. Drawing inspiration from the iconic vampire legend Dracula, the Dracula DLC shares the immortal gene with the Count of Transylvania through its everlasting technology, while presenting an elegant simulation of the legendary vampire: it reveals “the red on top of your skin”, with no pain at all. This is one superhero with multiple powers; aside from bringing red to surface, it also reveals the simple sensuality of the wrist with its unstructured red fluid on the dial and the red veins of its black alligator strap, and empowers its wearer while attracting compliments. And while Superman would definitely not support Dracula’s nasty habits, he does recognize the greatness that resides in the H1 Dracula DLC and would fight Lex Luthor for it any day. The UR-105 is what Urwerk deems to be its “Knight“; its bezel evokes the breastplate of a knight’s armor, and its power is protection against the ravages of time. Indeed, the bezel keeps the mechanism safe from the possible effects of time. The piece revisits the watchmaker’s emblematic and unmistakable signature element, the satellite indication. It is a wandering hour indication based on a carousel which carries the four satellites, each bearing three numerals for the hours. The hours successively sweep past the minutes scale for an analogue and digital display of the time. 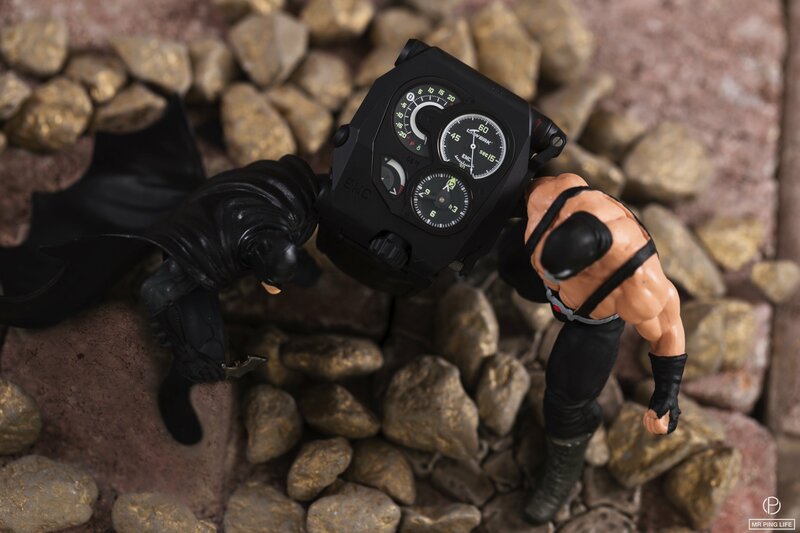 The Urwerk UR-110 comes through as a superhero vehicle, featuring a Control Board on the dial side with indicators for “Day/Night” and “Oil Change”. It tells time using orbiting satellite complications, but the time is always shown on the right side of the watch. Its titanium case back encloses an innovative automatic winding system regulated by dual turbines. Vrooooom, off it goes! 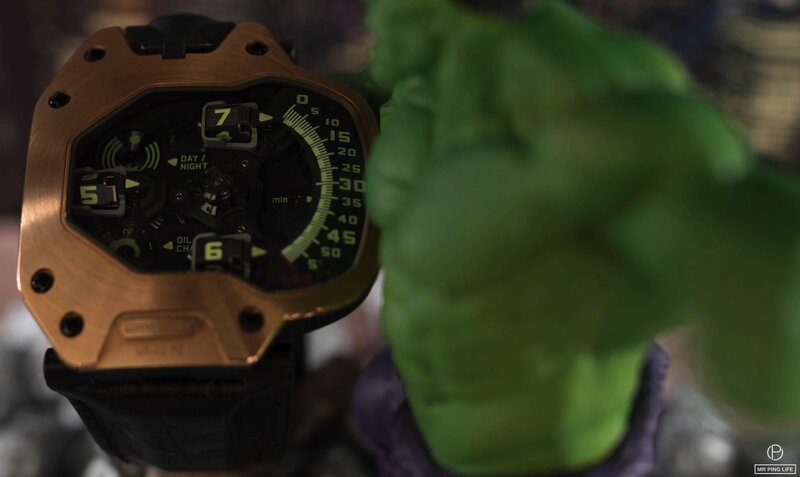 If you plan on standing out from the crowd, here’s one way you can do it: get yourself one of these super cool watches and feel their power on your wrist! Fight all villains, stand up for justice, be the good in this world. Because when time is on your side, you can do anything. 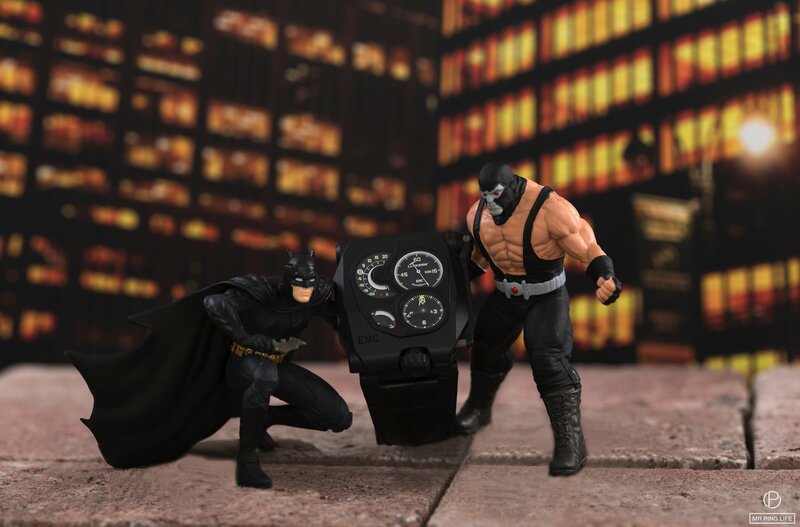 Batman’s fight against Bane finally comes to an end. 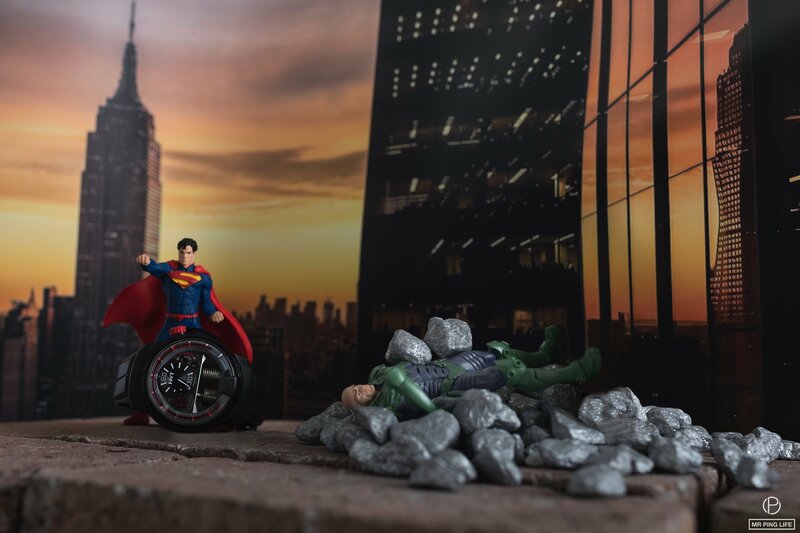 As it should be, the good guy wins and the DB27 Titan Hawk All Black is safe! The watches are available at Ahmed Seddiqi & Sons, The Dubai Mall and Mall of the Emirates. All photos are copyright of MRPINGLIFE.com, unauthorized duplication or reproduction not permitted.